This year’s con falls on the weekend of November 16 and 17. We’ll be gathering at our usual haunt, the Washington State Conference Center (across the street from the convention center you’re picturing!). One of the items on our GeekGirlCon ‘19 To-Do List is enticing exhibitors to apply for space in our Exhibition Hall and Artist Alley. First, there’s $10 non-refundable application fee. Of course, we’d love to be able to accept applications without a fee, but charging a bit per person helps keep the burden of expanding this piece of con operations from falling solely on one group. If you’re accepted, we’ll apply the $10 to the cost of your booth/table. Second, applications are due May 31 at 11:59 p.m. PST. Any applications that come in after that time will be automatically added to the wait-list. We intend to respond to applications by the end of July. Third, please reach out to exhibitorservices@geekgirlcon.com if you have any questions or concerns. We’re beyond happy to help. We’ll see you on the floor! As you’ve probably noticed, we’re now accepting programming submissions for GeekGirlCon ‘19. 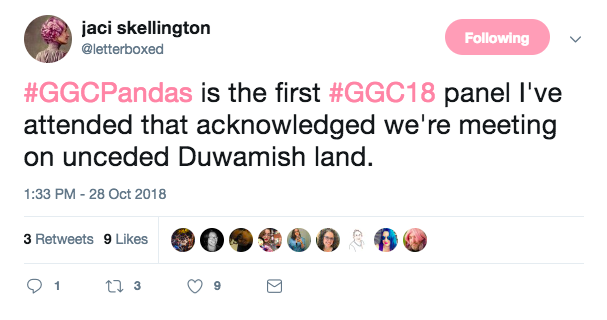 That means panels, workshops, performances, and other kinds of events—we want it all! We’re also, as always, accepting submissions for panelists/moderators who are not yet associated with a specific programming proposal. We have a little over two months until the deadline of May 31 at 11:59 p.m. PST, and we’re here to support y’all as you put together your teams of geeks, experts, creators, and performers and we all gear up for what will probably be the most epic con yet. We’re planning to roll out more submissions-related content in the coming weeks, but in the meantime, I’ll direct you to one of my favorite places on the internet, the GeekGirlCon Contributor Forum on Facebook. 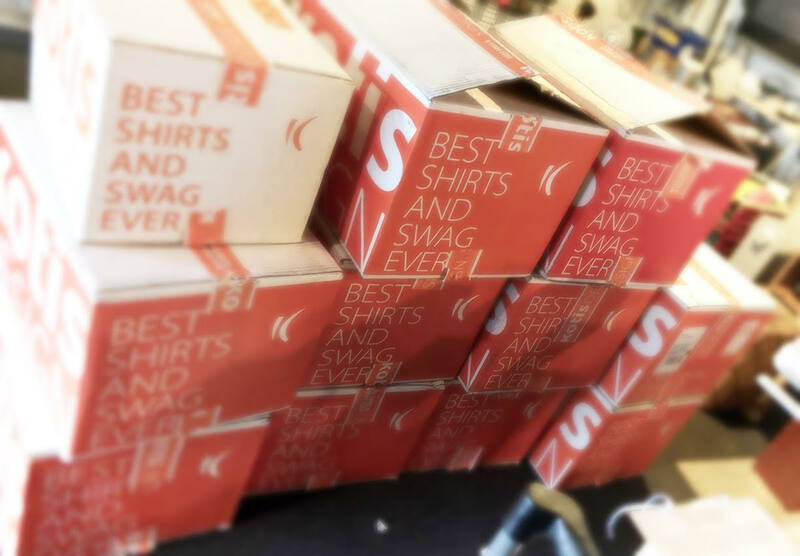 We’re processing requests to join super regularly, so please jump on in! 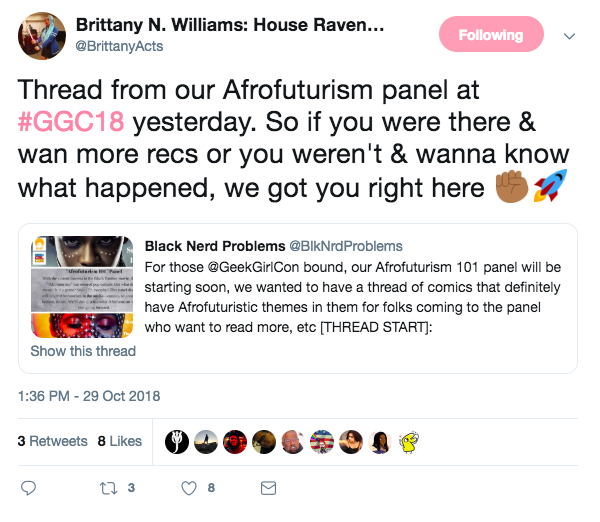 This is a great resource to find everything from co-presenters to feedback on programming ideas to proposal troubleshooting from GeekGirlCon staff and our wider community. Additionally, here’s our web page detailing the submission process in more detail for your reference. And, do remember that this year’s theme is Share Your World. Our community is founded in collaboration, coming together in a physical place to collaborate and celebrate. What media is important to you? What is your community’s relationship with geek culture or pop culture generally? What are you creating that you’re excited about? If you have programming ideas that respond to one or more of these questions, we want your proposal! As always, feel free to reach out to programming@geekgirlcon.com with questions or concerns, but until next time, SUBMIT! 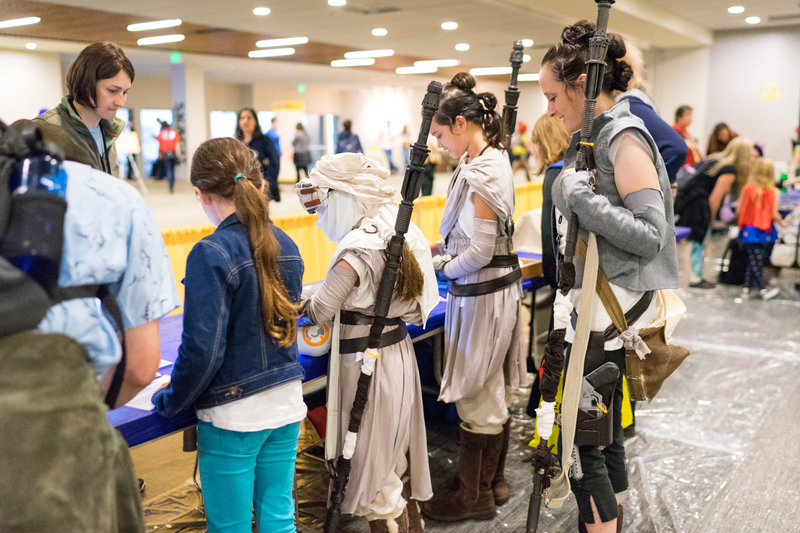 GeekGirlCon ’19 Passes on Sale Now! New year, same GeekGirlCon-attending you. Or, in other words, passes for GeekGirlCon ‘19 are on sale now! This year, we’ll be convening on Saturday, November 16 and Sunday, November 17 at the Conference Center in downtown Seattle. If you’re able, snag your passes now! They are currently at their lowest price, so be sure to take a look. Besides the base pass prices, there are a few minimal service fees ($1-$3, depending on what pass you’re getting) and a standard Seattle Amusement Tax. If you have any questions, please feel free to reach out to registration@geekgirlcon.com. That’s all for now! Get your passes and keep an eye on our blog and social media for more updates—especially all of the programming goodness that’s sure to come! Can you believe it’s been three (plus!) 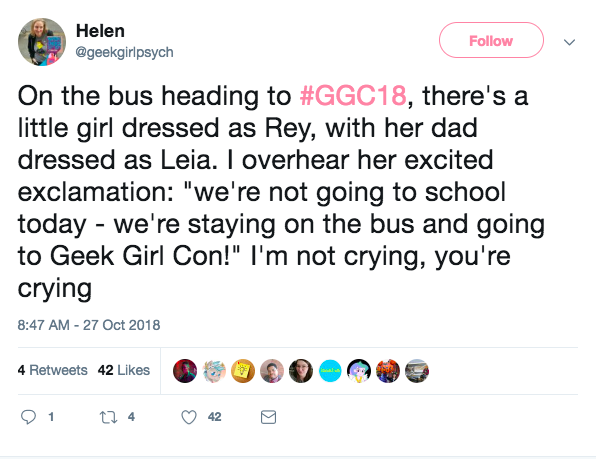 weeks since we all said goodbye at the end of GeekGirlCon ‘18? 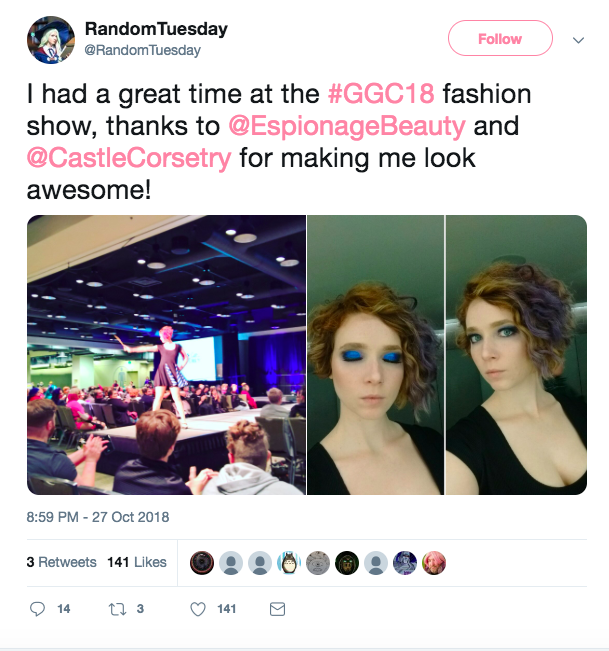 While it’s almost enough to begin prep for GeekGirlCon ‘19, I’d like to just take a second to revel in what we made and experienced this year. Here’s some of what our community had to say about that glorious weekend. A Feminist Frequency Radio podcast episode recorded live at the con for anyone who missed it (or for those who just need even more Anita, Ebony, and Carolyn in their lives). 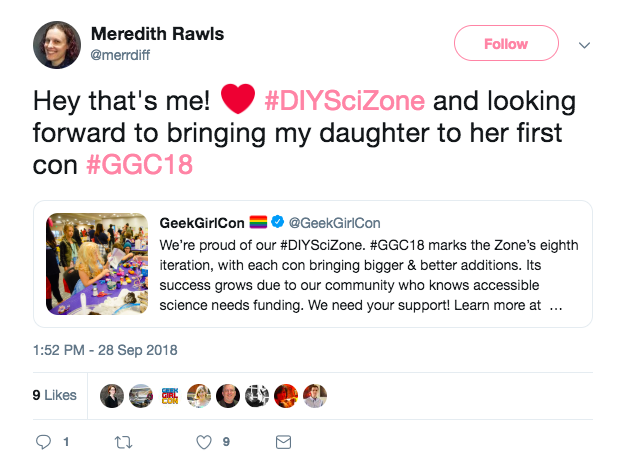 GeekGirlCon owes its lifeblood to a nearly unquantifiable host of individuals and groups who dedicate themselves to bringing us all together once a year. From our year-round staff to our con-weekend Agents to our Featured Contributors to our attendees, the light and love coming from our support network is seemingly infinite. That all being said, we also couldn’t do the thing—the hosting our big, lively family all together in one physical space for a weekend thing—without the help of our annual sponsors. Our sponsors put their faith in us, and we couldn’t be more grateful. So, without too much more fanfare, I’d like to take moment to thank some of the folks who’ve come through for us this year. After all, we’re all in this together. Each year, we recruit an artist who shares our values to work on our con-specific merch. This year, that artist is Cassie Kelly. 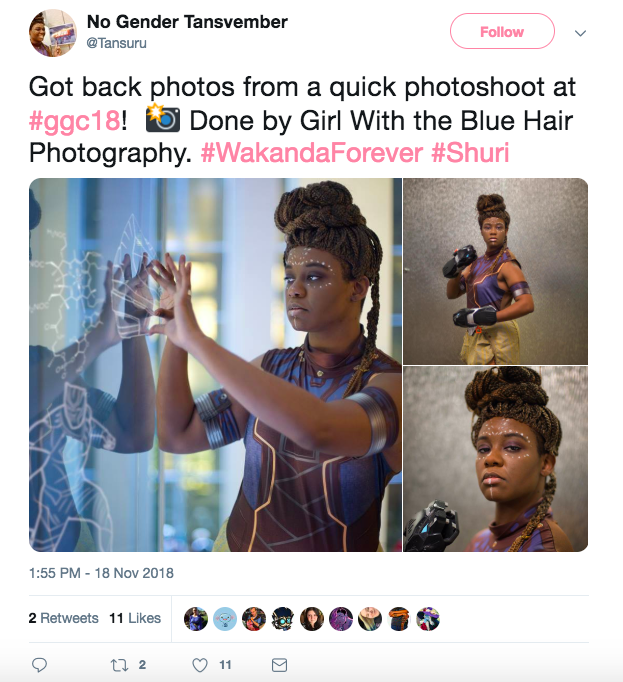 Cassie is ridiculously talented, and we couldn’t be more excited about what’s in store for GeekGirlCon ‘18. In celebration of the big reveal, I asked Cassie a few questions about everything from process to faves. If you’re interested in checking out more of Cassie’s work, I have the Instagram and web store for you! We’re in late summer now, and you know what that means? 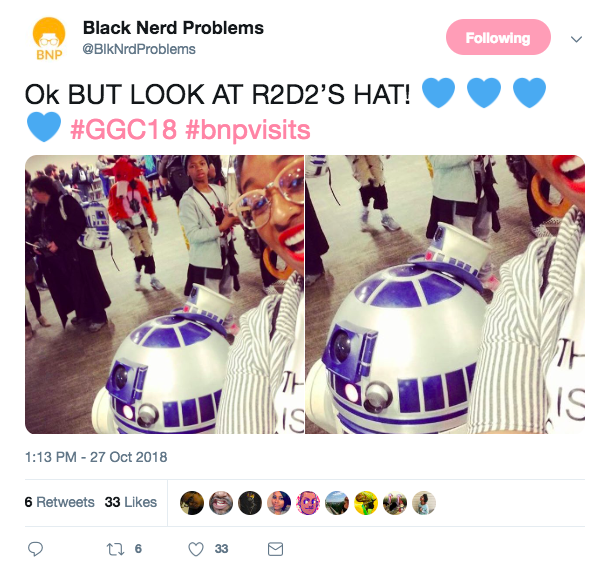 The GeekGirlCon ‘18 countdown can officially begin! For the record, we’ve got 77 days to go. 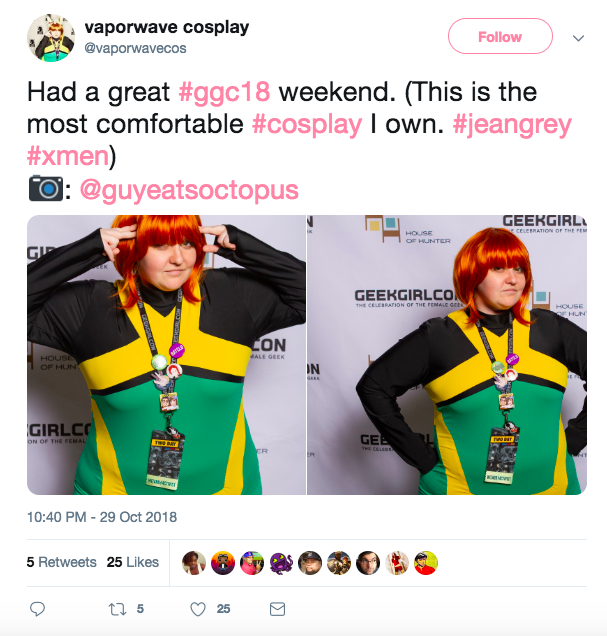 Everyone has their favorite facet of con-going, whether it’s the panels or the mainstage events or the new friends or just being in a new city for a few days—there’s always something. For some people, it’s the opportunity to get more involved in the operations side of things that makes a con special. If that’s somewhere near where you fall, I have a quick reminder for you: Applications to be an Agent (AKA the GeekGirlCon volunteers who work only during the con) are closing this upcoming Monday, August 13 at 10:00 p.m. If you were already planning on volunteering, get those applications in! If you’re on the fence about it, let me give you a couple of details about what you’d be signing up for. First of all, we need all Agents to be at least 16 years old. This year, the con falls on Saturday, October 27 and Sunday, October 28. We ask that Agents are available to take two shifts (4-5 hours each) over the course of the weekend. There are many different kinds of roles you’ll be choosing from! As an Agent, you’ll be required to review some training materials and adhere to our Code of Conduct. 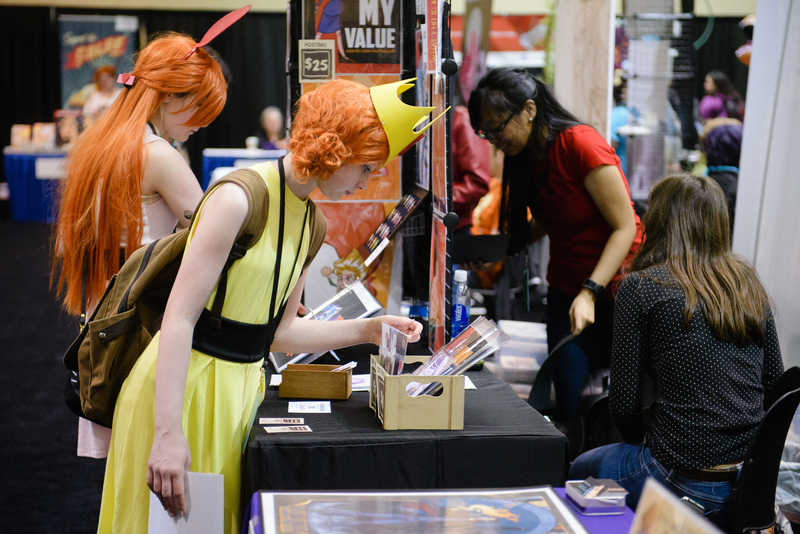 You’ll get a free pass to the con and access to our Agent Headquarters! You’ll get a behind-the-scenes look at con operations and get to know the other awesome folks working as volunteers. When you’re ready, click through to the application here. And once again, the deadline is August 13. If you have questions about the application, feel free to email volunteer@geekgirlcon.com with them.